how to import Marvelous Designer fabric presets into MD7? I got some fabric presets I want to import into Marvelous Designer 7. How to do this? To import a Marvelous Designer fabric physical property preset into (any) version of Marvelous Designer, click on the fabric, next expand the "physical property" section in the property editor, and then click the "import" folder icon. 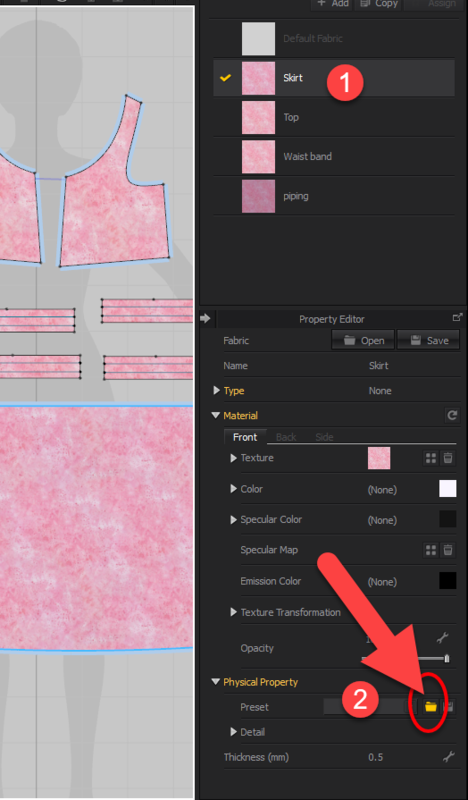 Select your fabric physical property preset (these have a PPS extension) and import it. Simulate, and you'll immediately see a difference on the clothes (or clothing parts) the PPS is applied to!